DAVENPORT, Ia. (May 4, 2017) – Restarts were the key to victories in three of the four classes competing Friday at the Davenport Speedway, in the Short Track Challenge. 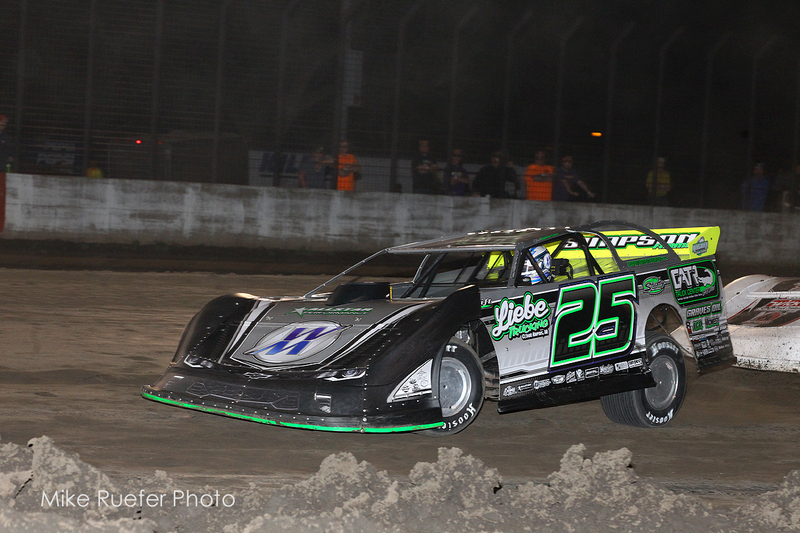 The Lucas Oil MLRA Late Models were on hand to battle the quarter-mile oval. Chad Simpson passed J.C.Wyman for the top spot following a lap three restart. Chad would drive to the win, his first MLRA victory of the year. Wyman would hold on for a second place finish with Mitch McGrath taking third. Chris Simpson made a late race charge to finish fourth, and Payton Looney completed the top five. Chad Simpson, Payton Looney, and Tony Jackson Jr. won the late model heats. Chad completed the Simpson sweep of the Lucas Oil MLRA events at Davenport in 2018. His brother Chris won when the series raced on the half-mile track in April. 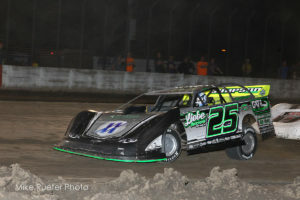 In the Eriksen Chevrolet IMCA Modified main, six cars were involved in a lap one incident. One of those six was Justin Kay. Kay restarted at the tail of the field. Several cautions later, Kay would take the lead after a lap twelve restart. Kay would lead the remainder of the race to take victory. Kurt Kile worked his way to a second place finish, followed by Bryce Garnhart, Eric Barnes, and Doug Crampton in that order. A rash of caution flags set the tone in the Koehler Electric Street Stock feature. Early race leader Gene Ehlers stayed up front until a lap eight restart. Third place racer Jesse Owen dove to the bottom and passed both Ehlers and second place Jeff Struck. The caution flag would fly once more setting up a two lap shootout to the checkers. This time it was Struck’s turn to dive under Owen, take the lead and the win. Owen would finish second with Ehlers third. Kevin Goben and Austin Riggs rounded out the top five. The Hawkeye Auto IMCA SportMods also saw a lot of yellow early in their feature, however there would be no pass for the lead. Keith Blum started on the front row and would survive all the restarts to score the victory. Jared Waterman started third and finished second. Joe Nemitz took third, ahead of Brandon Setser and Mike Goben. Next Friday, May 11th, all four weekly classes will be back in action at the Davenport Speedway. Our guest class will be the American Iron Racing Series.